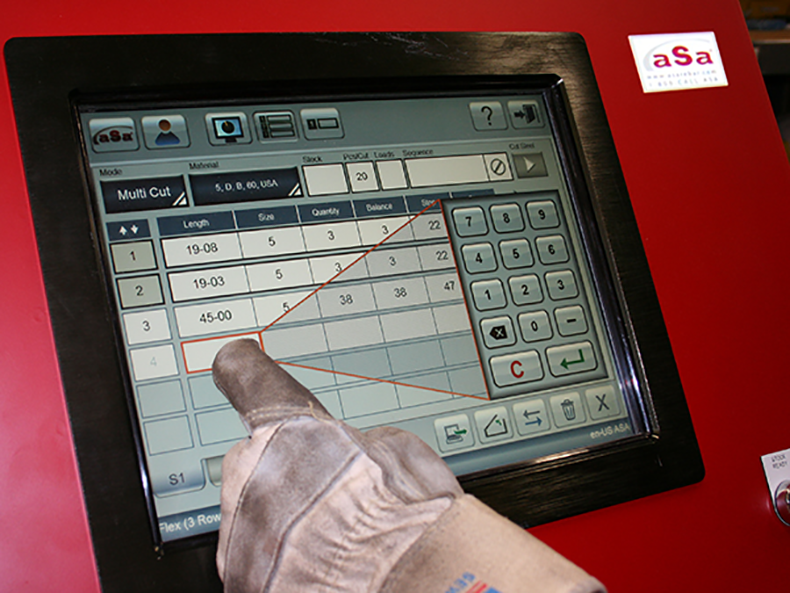 The aSa Opto-Shear Console not only automates all shearline processes with minimal operator input, it manages and paces the entire shop operation, resulting in fewer errors, less scrap, and more overall efficiency from your crew. 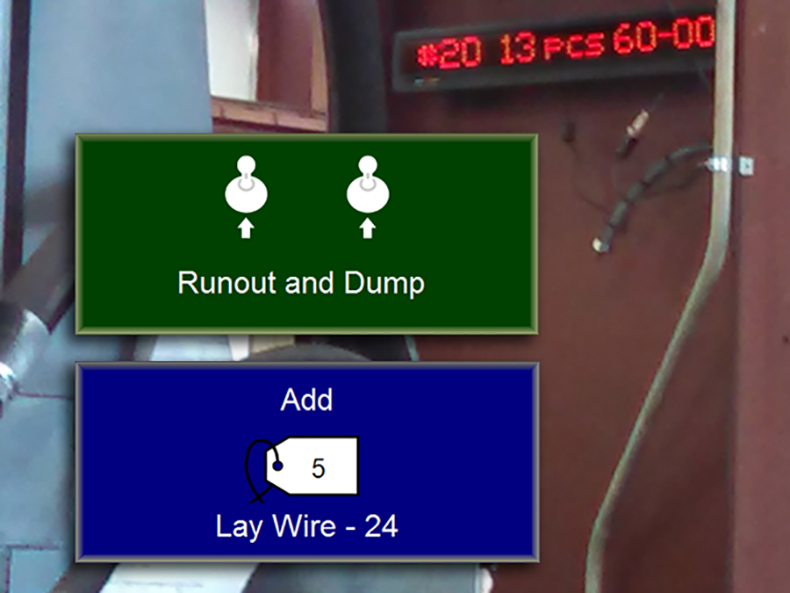 Information loaded from computer-generated instructions or scanned from barcoded tags eliminates the potential for erroneous entry by the operator. "(aSa Shear Controllers) remove barriers to allow shearmen to achieve great results. 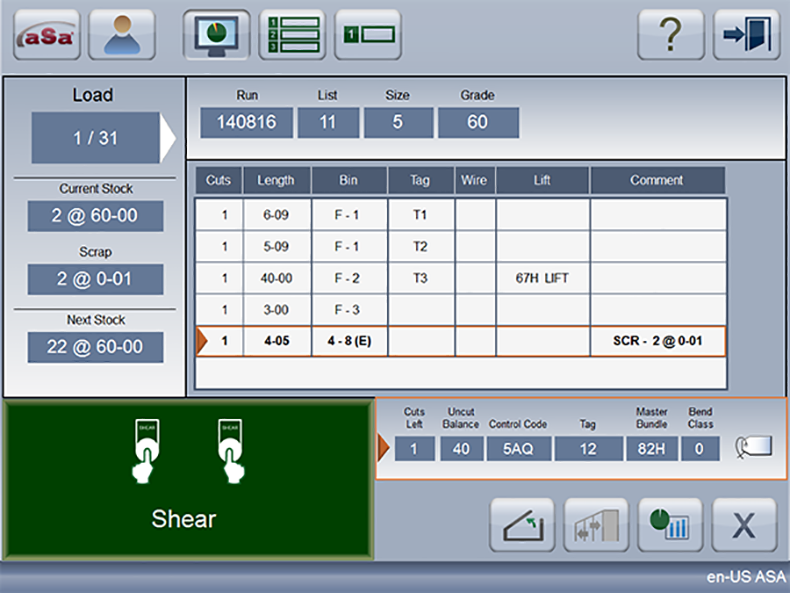 Scroll through the screens below to explore just a few of the many benefits of the aSa Opto-Shear Console. Safety features are built in, and all components are designed for the rigors of a rebar shop. Controls and directs all cutting, bundling, and material movement based on aSa production-generated instructions. 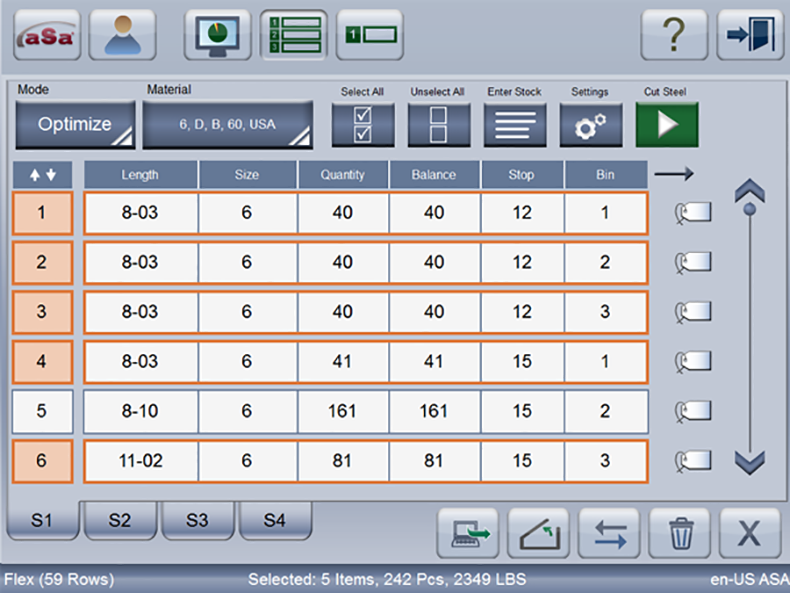 Organize tag data any way you like, then fabricate in one of three different cutting modes. Clear instructions guide the entire shop crew. 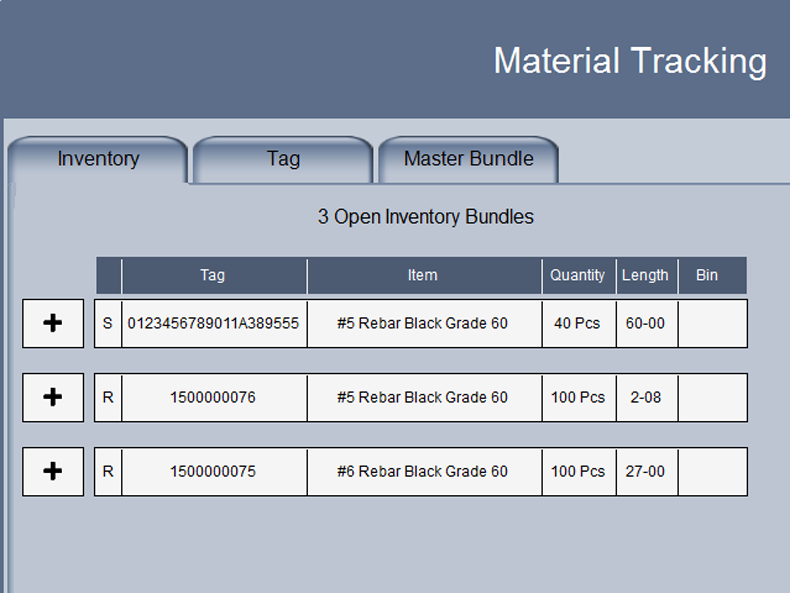 Automatically update Sheared status and track heat information as you fabricate material.